All driver candidates will be required to successfully complete the Fort Transfer orientation program. 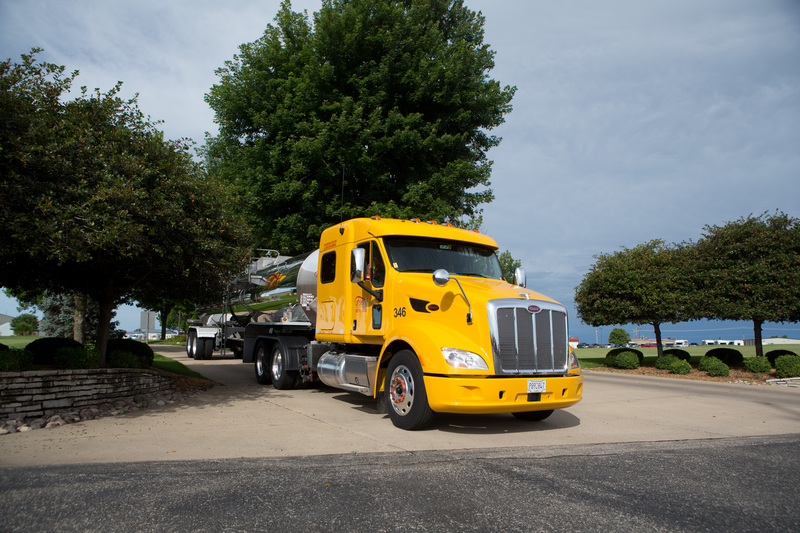 All driver candidates with liquid bulk tanker experience other than General Chemical or Herbicide will be required to successfully complete additional focused training with a Driver Trainer. The additional training is typically one week, but may be extended based on the opinion of the driver trainer and/or the safety department. Fort Transfer Company management reserves the right to disqualify a driver applicant based on the totality of the background investigation. Exhaust must conform to DOT and EPPA regulations. No obtrusive or offensive images/ paint colors- email pictures to Safety if in doubt or second opinion is required. Have In-transit Heat installed on tractor. Monthly Worksheet- a log of any maintenance performed on the vehicle for each month will be maintained by the owner of the vehicle. A copy of the log will be sent no later than the 15th. Can limit dispatch to that vehicle until the report is received. 90 Day Vehicle Inspection Form; every privately owned vehicle under current lease to Fort Transfer is required to submit to a FHWA inspection. The Tractor/ Straight Truck inspection FHWA inspection form is to be used. This can be performed at either a company service location of at a Maintenance Department approved inspection facility. A copy of the inspection will need to be scanned to Fort Transfer where the form is electronically stored.